Richard Petty is one of the foremost racing legends ever. He dominated NASCAR from 1964-1986. He was a brilliant, uncompromising driver who set so many winning records in NASCAR during his brilliant career that nobody except Dale Earnhardt ever came close to matching him. When asked of what his most iconic car was, many people will immediately tell you his 1970 Plymouth Superbird or 1967 Plymouth Belvedere are his most iconic car. More people will tell you that his Superbird is the most iconic car to ever race NASCAR. I’m inclined to agree. 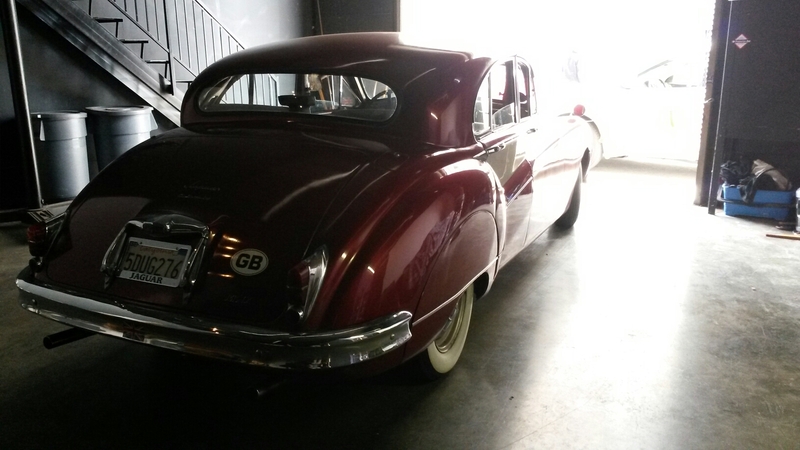 All of Petty’s Plymouth’s were powered by the legendary, versatile 426 Hemi. What I am here to tell you about is Petty will be driving his 1967 Plymouth Belvedere. Richard Petty’s big, Petty Blue 1967 Plymouth Belvedere will be an amazing sight to see at the 2014 Goodwood Festival of Speed. It’s going to be a change from the wailing Le Mans and F1 cars that populate the Festival of Speed. It was the car that Richard Petty drove in his most dominant season ever, 1967. Just next month, Petty and his big, blue, burbling Plymouth will reunite. While the full list of the 2014 Goodwood Festival of Speed invitees hasn’t been finalized, we do know that Indy 500 legend Al Unser will be driving his 1978 Lola-Cosworth Team Penske Indy car. We also know that Formula 1 legends John Surtees and Emerson Fittipaldi will be driving a Ferrari 158 and a McLaren M23, respectively. Some other highlights of this year’s Festival of Speed: Sebastian Loeb will be attempting to set a record in his Pikes Peak-winning Peugeot 208 T16, and a timed supercar run of a prototype Acura Honda NSX. On a sad note, Richard Petty’s longtime wife, Lynda Gayle Owens Petty passed away on March 25, 2014. She was 72. It was unclear for a few weeks on whether Richard Petty would come to the Festival of Speed. A quiet announcement on Petty’s website a few weeks ago said that he will be going to Goodwood. I would like to offer my sincere condolences to the entire Petty family. 1908-1927 Ford Model T: The Ford Model T, believe it or not, is actually a fairly driveable car. It’s light, small, and cute. It can keep up with city traffic, do some pretty decent off-roading (when the Model T was built, most roads were gravel or dirt), and in some configurations, seat up to 5 people. There are some downsides, however. Earlier Model T’s have crank starters, which mean that you have to crank it over by hand. Newer Model T’s don’t have that problem. If you don’t take highways, the Model T is a fun choice for taking long, slow trips. 1967-1970 Cadillac Eldorado: The Cadillac Eldorado was one of the whale-sized GM personal luxury cars of the late 1960’s. Power disc brakes were standard from 1968 on, and power steering was standard from day one. As for the engine, it’s hard to beat a Chevy big block V8. The standard engine for 1967 was a 429 cubic-inch V8 that was ditched for a massive 472 cubic-inch V8 in 1968. The 472 is a good, powerful engine that makes well over 500 pound-feet of torque. In 1970, Cadillac came out with one of the largest engines ever made – a 500 cubic-inch V8 that made about 400 horsepower and about 600 pound-feet of torque, as rated by GM. Dyno tests showed that it made about 450 horsepower and about 675 pound-feet of torque – to the wheels! That’s about 520 horsepower and 740 pound-feet of torque at the crank! The Eldorado is a big, cushy car that really meant success when it came out. To this day, nothing really shows success quite like a Cadillac. A fun fact is that former U.S. President Jimmy Carter has owned a 1970 Eldorado since the day he was elected President of the United States! 1947-1955 Chevrolet/GMC Advanced Design Pickups: These are some of the most hardworking, amazing trucks that the world has ever seen. They are literally bulletproof, and it’s amazing how easy to drive they are. From 1947-1954, Chevrolet/GMC pickups used a 216 cubic-inch inline six-cylinder engine called the Stovebolt Six. In 1955, Chevrolet introduced the 235 cubic-inch inline-six-cylinder engine called the Thriftmaster 235. The 3100 series (a half-ton pickup) came standard with a three-on-the-tree three-speed manual, with a four-speed floor-shifted manual transmission. Heavy-duty 3600 series (3/4 pickups) trucks came only with the four-speed. In 1954, a heavy-duty Borg-Warner three-speed manual was offered as an option, and GM’s new Hydra-Matic three-speed automatic was an option. The rear end in these trucks is either a 4.11:1 axle ratio in earlier trucks or a 3.90:1 axle ratio. The 3.90:1 is more road-friendly, as it allows for lower RPM in city traffic and highway driving. In terms of braking, it’s not much. Four-wheel drum brakes were standard for all trucks. Heavy-duty trucks came with a power booster, but not the light-duty trucks. Inside of these trucks, they are spartan by today’s standards. 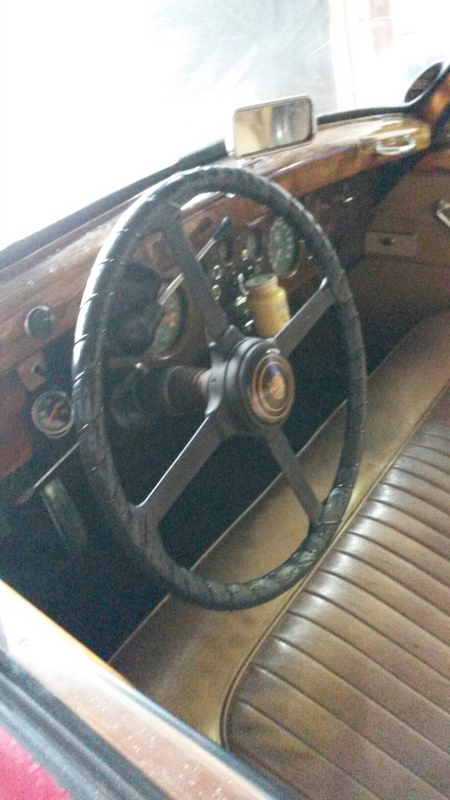 But, back in the day, their interiors were compared to those of passenger cars. The availability of the DeLuxe Cab with corner windows greatly improves visibility, and the DeLuxe Cab-only armrest and sunvisor for the driver are a nice touch. These trucks also had thicker floors and floor mats to make them quieter, and there is even room for some small tools underneath the bench seat. The 3100 and 3600-series pickups came standard with a column-shifted transmission starting in 1948, and the shift pattern was identical to every single Chevrolet, Cadillac, and Buick passenger car as a nod to driver ease of operation. The foot-operated parking brake is located in the far corner of the footwell so the driver doesn’t activate the parking brake when shifting! The cab and body is made completely out of steel, and was designed to be long-lasting. While some of these trucks are starting to rust, don’t worry – there is a thriving aftermarket JUST for that! 1966-1973 Volkswagen Beetle: The VW Beetle is one of the world’s most popular cars ever, and it’s a very driveable little car. The 1,600 CC engine has surprising pep, lasts forever, and gets good fuel economy. The VW Beetle from this era is bulletproof, cute, and easily restored for very little money. It comes in some colors that really make it look fun, like the creamsicle orange color! Some Beetles from this era were turned into Baja bugs that are lots of fun to drive, and they often have upgraded engines. A common engine upgrade is the 1,776 CC engine, which significantly boosts power without killing the engine. It essentially just puts bigger pistons and heads on. 1967-1971 Plymouth GTX: The Plymouth GTX was Plymouth’s full-size, more luxurious version of the Roadrunner. It had functional hood scoops, a chrome filler cap that looked like a NASCAR filler cap, and optional racing stripes. It had a heavy-duty suspension found in the Charger 500 and Coronet 500. The standard was Chrysler/Dodge/Plymouth’s massive 440 cubic-inch V8. For an extra $546, one could step up to the legendary 426 HEMI, nicknamed the “Elephant Motor.” For 1968, the GTX received new styling and the new TorqueFlite 727 three-speed automatic transmission. For 1970, it received a massive redesign that included the racing stripes being removed and put on the lower part of the car. It also introduced the 440+6 (a 440 with three two-barrel carburetors), which could closely compete with the HEMI up to highway speeds. In 1971, the GTX entered it’s final stand-alone model year. The engine choices remained the same. It was also completely redesigned to look more like the Roadrunner. Emissions restrictions reduced horsepower in every engine except the HEMI. From 1972-1974, the GTX was a model on the Roadrunner, before being dropped. 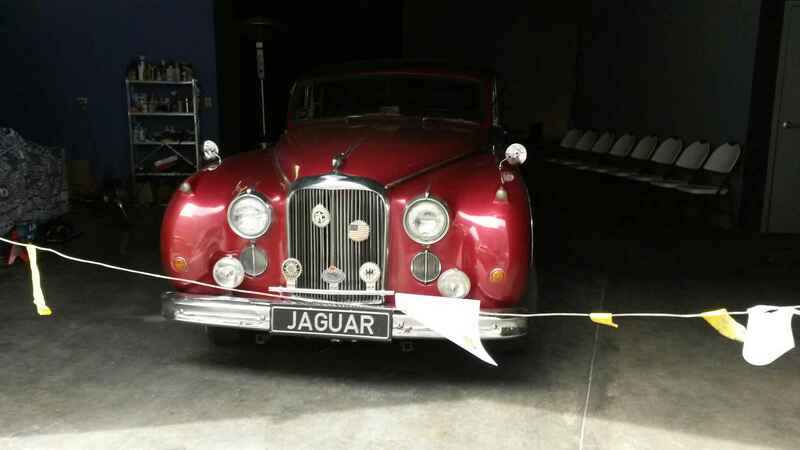 Those are the best classic cars to drive every day, at least in my opinion. If you drive a classic daily, and it’s not on this list, tell me if it’s a good daily driver and why and I will do a part two of this blog post! I know that all of these cars aren’t as reliable or inexpensive as new cars, but they have character, something that many new cars lack. For those of you still in school, good luck on finals, and get back to studying! Read up about cars AFTER finals are over! I don’t you want to fail finals because you were reading up about cars! Carroll Shelby was a guy who built cars the way that they should be built. This meant that every single Shelby creation was a masterpiece. He is best remembered for the 1963-1966 Cobra, but he also built many more cars that are noteworthy. The racer-turned-chicken-farmer-turned-respected-tuner was an amazing guy who did much, much more than make fast cars go faster. After his heart transplant, he started a foundation. His foundation, Carroll Shelby Foundation helps fund heart surgeries for children. 1965 Ford Mustang Shelby GT-350. The Ford Mustang was an affordable musclecar. It was fast in a straight line, but it wasn’t meant to go around corners. 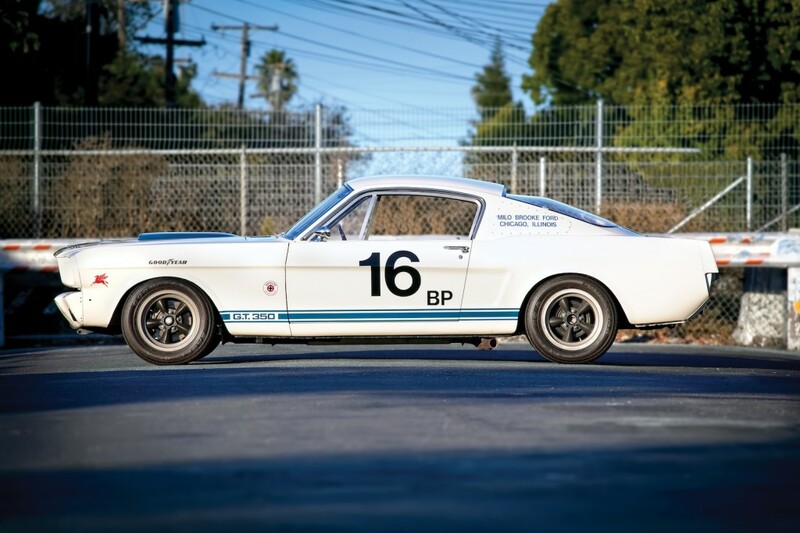 When Lee Iaccoca called Carroll Shelby in 1965, Carroll Shelby told Iaccoca, “Lee, you can’t make a racehorse out of a mule.” Yet, the 1965 Shelby Mustang GT-350 was one of the fastest cars of the decade. It used Ford’s all-aluminum 289 cubic-inch V8, a Muncie M-22 “Rock Crusher” transmission, and tons of suspension and chassis modifications. It was available through a “Get it Friday, Race it Saturday and Sunday, and Drive it Back Monday” program through Hertz. The GT-350K was the highly successful racing version. 1965 Shelby Cobra Daytona Coupe. The Shelby Cobra is one of the world’s most iconic cars, let alone America’s. It used a stylish, lightweight British AC Ace body and chhassis, a Ford V8, and way too much fun for one person. The most iconic Cobra was the 427 Cobra, which utilized Ford’s new, all-aluminum 427 cubic-inch V8 that was designed to compete with the 426 Hemi (the engine Shelby originally wanted for the Cobra). That turned it into one of the fastest cars ever. In late 1964, the 427 Cobra enjoyed massive racing success, but it didn’t have enough aerodynamic oomph for the long straights at Le Mans. So, Carroll Shelby had Peter Brock design the Cobra Daytona Coupe. The Daytona Coupe made a 1-2-3 finish at Sebring International Raceway, and it then went on to win the same finish at Le Mans, putting it 4th overall behind three Ferrari prototypes. 1965 Shelby Cobra 427. Arguably the most iconic Shelby ever built, the 427 Cobra was a monster. It used Ford’s race-proven 427 cubic-inch V8, and your Pontiac GTO or Chevrolet Camaro RS would run for mommy. The 427 Cobra was a fairly neutral car in terms of handling, even when you got your foot into it. Even then, it was predictable. Yet, when those 480 pound-feet of torque kicked in at 6,000 RPM, you’d better be holding onto something and have a lot of road ahead of you. It tipped the scales at just over 2,700 pounds, and the big Ford V8 made a beautiful sound when you nailed it. 1968 Ford Mustang Shelby GT500KR. The GT500KR used Ford’s all-new 428 Cobra Jet engine, which was kind of a loud, torquey boat anchor in stock form, but Shelby had a few tricks up his sleeve. He took the cylinder heads and manifolds from the 427 racing engine, and raised the redline by 1,000 RPM. This engine gained almost 30 horsepower just by that. Car Life said of the car in 1968, “At 6000 RPM, the Cobra Jet will pull a semi trailer up Pikes Peak. At less than 2000, it wouldn’t pull the petals off of a daisy.” People still rave over the engine almost 50 years later. It was docile under 2,000 RPM, but it came alive above that. 1986 Dodge Omni Shelby GLH-S. The little Dodge Omni was a pretty decent little car, but Carroll Shelby slapped a turbocharger and suspension upgrades onto this little car. It started the hot-hatch craze, and it still shames many hot hatches today. It was a sleeper. Many automotive magazines said that it would leave two very skinny, long tire marks through third gear. If that’s not impressive, I don’t know what is. 2002 Shelby Series 1. The Shelby Series 1 was the last Shelby to actually be built from the ground up by Shelby. It used an Oldsmobile Aurora V8, a GM 700R4 transmission, and a Ford 9-inch rear-end. Many people complained about the fact that it felt like an unfinished car. You know what? Let them yammer. it was fast, fun, and stylish. 2013 Ford Mustang Shelby GT500. This Mustang deserves to be on this list. It was the last car to have personal oversight by Carroll Shelby, and it shows. Shelby took the supercharged 5.4-liter V8 found in the 2012 GT500, and stroked it out to 5.8 liters. It gained 112 horsepower with the stroking of the engine and other tricks. It uses Mahle pistons, a Tremec TKO600 transmission, a single-overhead-cam, a special Comp Cams valvetrain, and a big 2.3-liter Eaton supercharger. The engine only gained about 50 pounds, thanks to extensive use of aluminum and titanium. Ford claims that it will go 200+ miles an hour. Motor Trend got one up to 197 mph, but I bet that if it was given enough open road, they would see at least 200. When it was dyoned, it topped the dyno out at 211 mph, and it was still pulling. Don Garlits is a drag racing legend. It’s why he’s known as “Big Daddy.” Garlits has set records, not only for the amount of wins, but also for eclipsed times, trap speeds, etc. He’s been active in the drag racing world for the better part of 60 years. Many credit him for actively starting to make Top Fuel drag racing safer. He’s learned the hard way on how unsafe old nitromethane dragsters are. His favorite engine is the 426 Hemi that propelled him to many a victory. Now, at age 81, he’s trying to set yet another record. The eerie silence of electric vehicles is a bit creepy to some. Nowhere is it more apparent than a 1/4 mile dragstrip. Top Fuel dragsters make 8,000 horsepower, shake your body to the core, and easily hit 150 decibels. Big Daddy’s Swamp Rat 37 isn’t what he usually drag races. This is evidenced by the fact that he went 323 mph six years ago. He regularly drag races a 2009 Dodge Challenger Drag Pak (Dodge’s equivalent of the Ford Mustang Cobra Jet and Chevy COPO Camaro, except it’s got a 600 horsepower Viper V10 under the hood). Anyhow, Swamp Rat 37 isn’t nearly as quick as other cars he’s sailed down the 1320 feet of a quarter mile in. But, his new record proves that electric dragsters aren’t slow, either. According to Wired, Garlits and Swamp Rat 37 just went 7.258 seconds at 184.01 mph at Brandenton Motorsports Park in Florida. That’s a little bit short of the 200 mph Garlits is aiming for, but he still went 24.16 mph faster than the previous record. Very few electric cars make supercars look slow, though the Tesla Model S does come close – very close. However, Big Daddy’s dragster makes every supercar look slow. Swamp Rat 37 has six 7.5-inch DC electric motors. Total output from those motors is 1,500 kilowatts, equivalent to about 2,000 horsepower. Power for those motors is provided by four lithium-ion battery packs that store 420 volts and 3,600 amps. It’s a little bit more powerful than sticking your finger into an electrical outlet. Since he’s living his life 1320 feet at a time, there’s no such thing as range anxiety. Big Daddy built up to full power over the course of several runs, turning in a 10.9, an 8.75, and on his fifth run, he hit 178.42 mph. His sixth run was the record-shattering run. For me, the most striking noise is not the whir of the electric motors, but the tires. The noise of the tires is always drowned out by the thundering engines used in Top Fuel dragsters. For some, this may devalue electric dragsters forever, but Big Daddy has shown the world that there’s potential in everything. 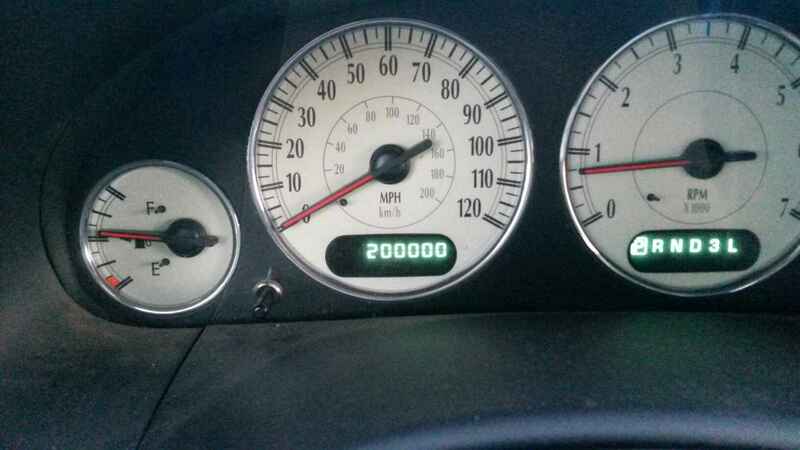 Just the other evening, I was driving home, and my 2003 Chrysler Town & Country LXi’s odometer rolled over for the second time. For those of you who don’t know what that means, it means that the car hit 200,000 miles. 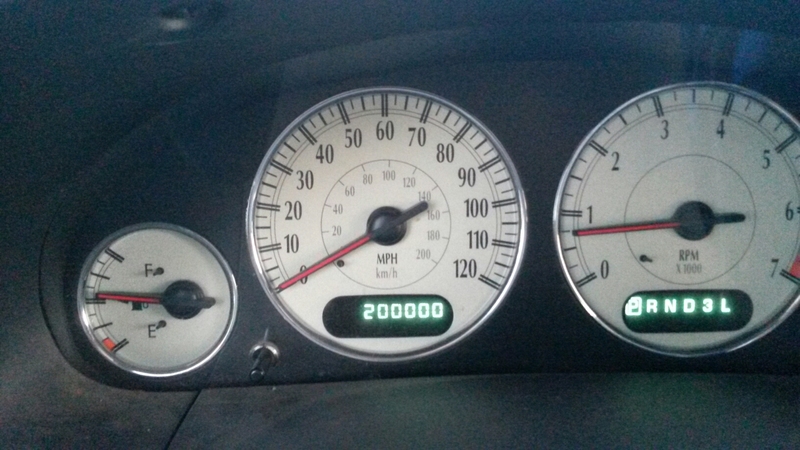 100,000 miles is a milestone for any car, but 200,000 is impressive. I think that it’s a good time to reflect on some nice memories that the old minivan has provided me. I’ll never forget the day we bought it in 2003. Most people have some sort of memory about buying a new car. I was a little tyke back then, and it had been raining that morning while the negotiations for the car were going on. When they handed us the keys and the minivan was ours, there were three rainbows! That’s a good sign. I remember that it was simply beautiful driving it home. Yet another memory was when I had first received my learners permit from the DMV, and my mom took me to a large parking lot and let me drive around. It was just the beginning of my (hopefully) long driving career. I didn’t really know how to do stuff like park, but what better way to learn than do it in your own car? Now that I have my driver’s license, an amazing old minivan filled with even more amazing memories, what could go wrong? I’ve loved every moment I’ve been in this old minivan, and I hope to enjoy many more.